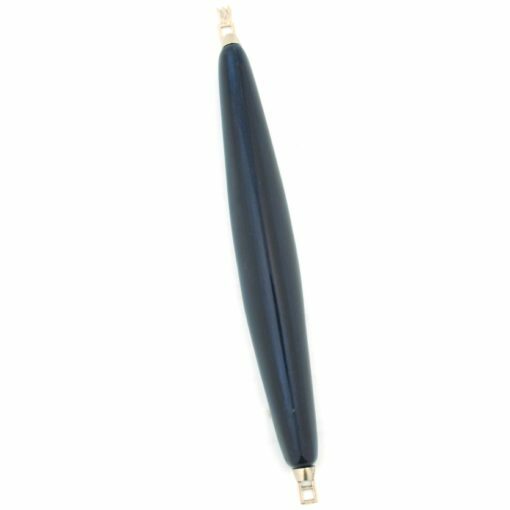 This beautiful ceramic mezuzah by Israeli artist Danny Azoulay has a simple elegance to it. 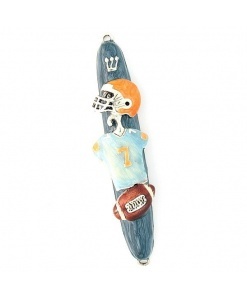 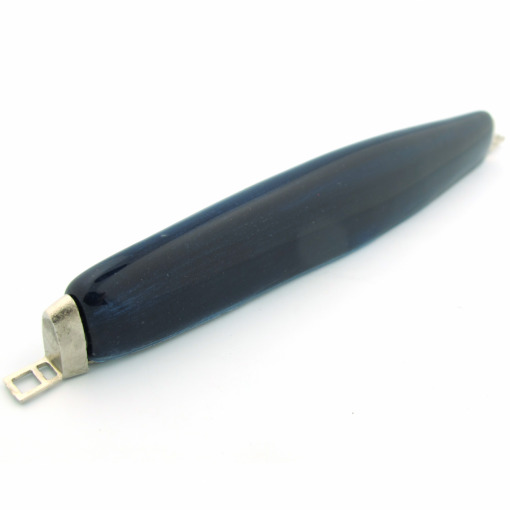 It features a sleek navy case with silver cap and base. 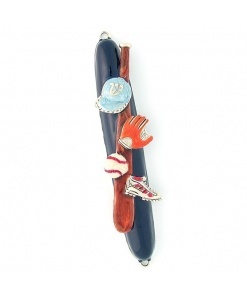 The cap has a hebrew shin on top. 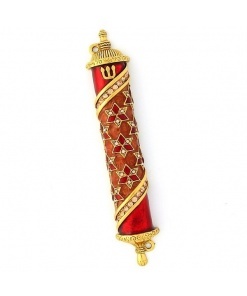 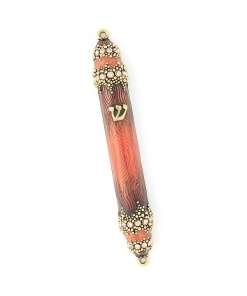 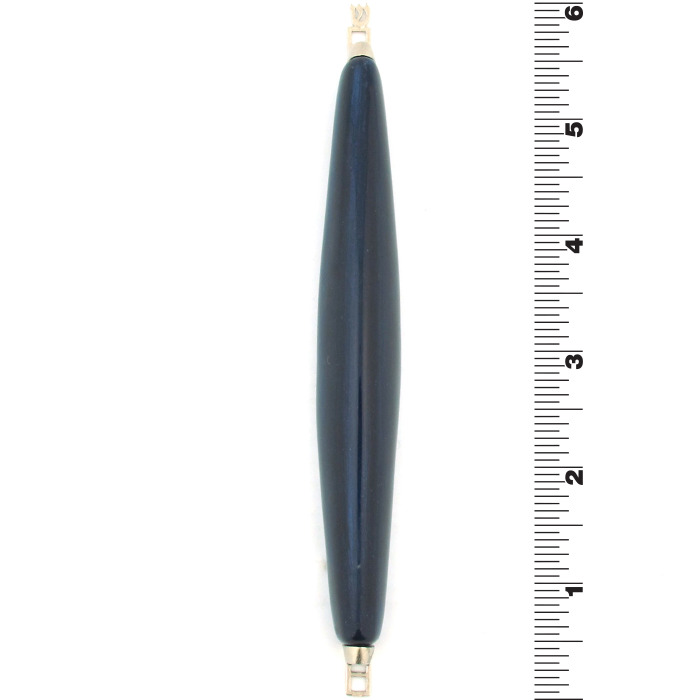 This mezuzah will look modern and stylish in your home. 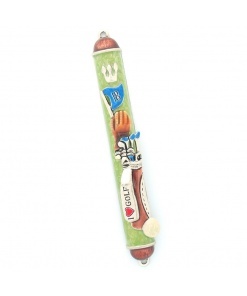 Azoulay, born in Morocco, was raised in Israel and attended the Bezalel Academy of Art in Jerusalem. 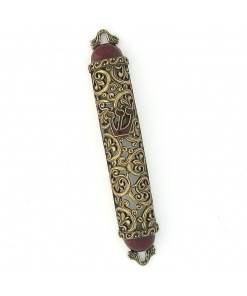 His designs reflect the scrolling floral patterns typical in Middle Eastern art. Beautiful, well-made, perfect for a contemporary home with its sleek lines.